Hillary Clinton said on Thursday in a speech to donors in Washington that she lost the presidential elections for two reasons. The two reasons she mentioned were published information from materials hacked from the Democratic Party's computers and James Comey's acts two weeks to the elections. It wasn't that Hillary had joined the choruses of unhappy Democrats, who had said that Russia hacked and published information from the Democratic Party's computers without mention of the impact that investigations into Clinton use of private email as secretary of state had on her chances. But unlike unhappy Democrats, who have not provided any motive they think Russia could have wanted Clinton to lose the election and for Donald Trump to win, she said that Vladimir Putin had a beef against her about five years ago, for her position on a Russian issue, which she had made a comment. But Clinton failed to mention the role of Wikileaks and others news outlets that published information from the hacked materials in the era of Breaking News and the rush to maximize sales or the competition to attract readers by various newspaper houses. And that not even the liberal newspapers that were her supporters as a Democratic Party's nominee could hands off publishing information from Wikileaks releases, known to be damaging to her and for which there was no way for them to confirm the truth or otherwise of the information released by Wikileaks. Of course, journalists are trained to respect the truth, and not whether the source is credible or not. Some newspaper editors interviewed by the BBC in a published piece: Hacking - Truth or Treason, said they would publish what Wikileaks had published as journalists, regardless of the source, as long as the information is judged to represent the truth. If Clinton herself had not mentioned the role that her use of private email and the loggerheads with the FBI had played in the elections, observers would have been led to believe that only the hackers wrecked her hope, because the anti-hackers' crowd were not saying or mentioning that there were other factors that caused Clinton the White House. 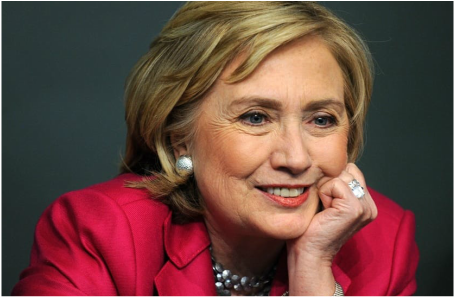 Many observers believe that Investigations into Clinton's use of private email as secretary of state and issues that arose from it, played much more role for her loss than any other single factor and that the hacking and publishing of information from the hacked materials came by the way. .
People are saying that they don't approve of Russia or any other country for that matter, to hack into any of the computers of any political party in the United States, but that instead of which the Clinton Campaign to defend issues raised in those hacked materials, it did not, but chose to allow the damaging information to float in the public space wthout any form of defense. Many Americans don't appreciate the announcment about Russia by Washington it would retaliate against russia for the hacking. They say it is the responsibilty of government to do what is necessary in diplomacy without a recourse to making noise about it, and that whoever the hackers were, they did not announce their intention to hack, and that if investigations had shown who the hackers were, why announce your intentions before you carry out your retaliation? Trump said this during the campaign that there is no point announcing your strategy before heading to war and making the enemy know your strength and weakness. And people are saying that whatever retaliation should not be to make the election winner suspect in a hacking undertaking he may not have known about or approved.